Wickless & Polished! 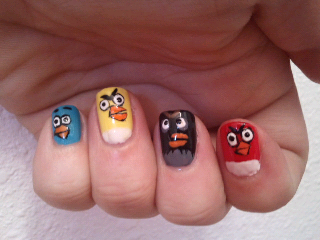 : Angry Birds! 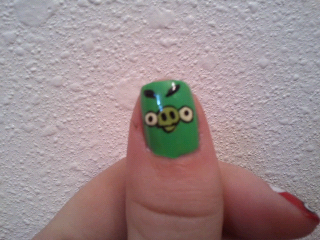 Was feeling a little angry hehehe. 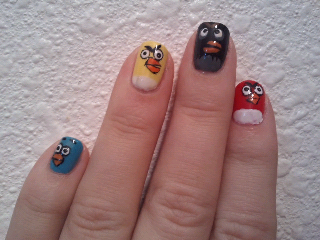 I had bought a nail art brush set including a dotting tool last night so I had fun testing them all out. Not too shabby for being freehand, I must say.